【EVENT INFO】ランゲージエクスチェンジやってます!!!! -Join our language exchange!!! Hello mai is writing!!! Mai and Naomi went to Thai food restaurant in Shibuya! it was STINKIN DELICIOUS!!!! LOL Who loves coriander??? We actually went to Vietnamese restaurant 2 yrs before to eager to eat a coriander! And the chicken soup was only 50 yen and super yummy!!! If you want to Thai food in Tokyo, i recommend this plalce! Okay, let’s just leave a thai food story at that, I want to inform about our language exchange!!! 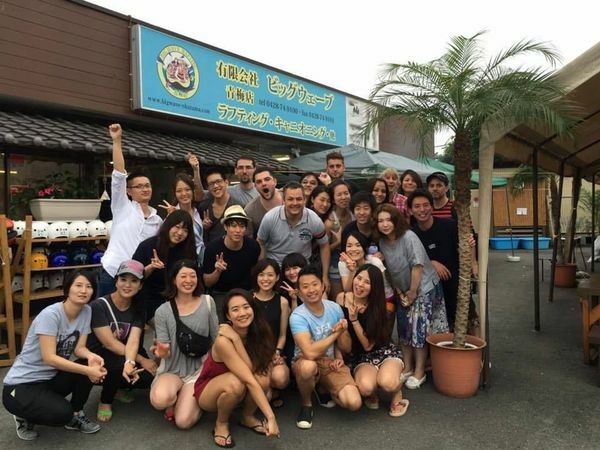 We host “speaking English ⇔ Japanese” and ” Spanish ⇔ Japanese” language exchange mainly during the daytime hours. 1 drink order is necessarily but you can enjoy English conversation and international exchange at the same expense as I go to a Cafe! You can entrance and exit anytime! It is also great chance to meet locals and make friends!! Please check the schedule from HERE!!!! We also have language lessons as English, Spanish and Chinese beside the language exchange so feel free to join us if you’re interested in!